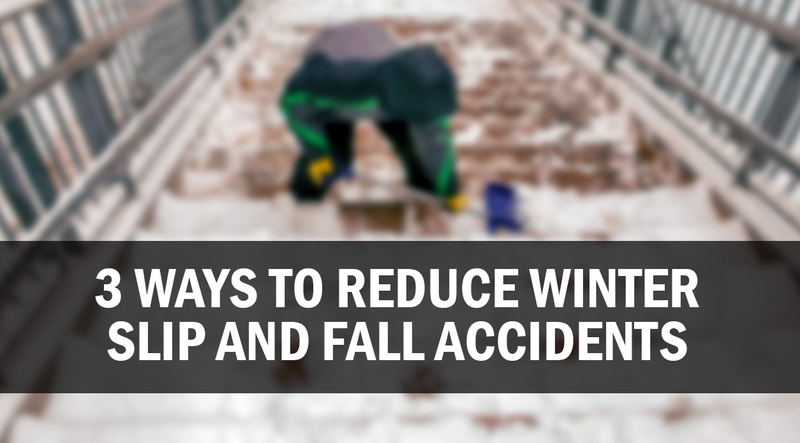 You may be surprised to learn that companies – no matter the size – approach the problem of winter slips and falls on snow and ice is practically the same manner. 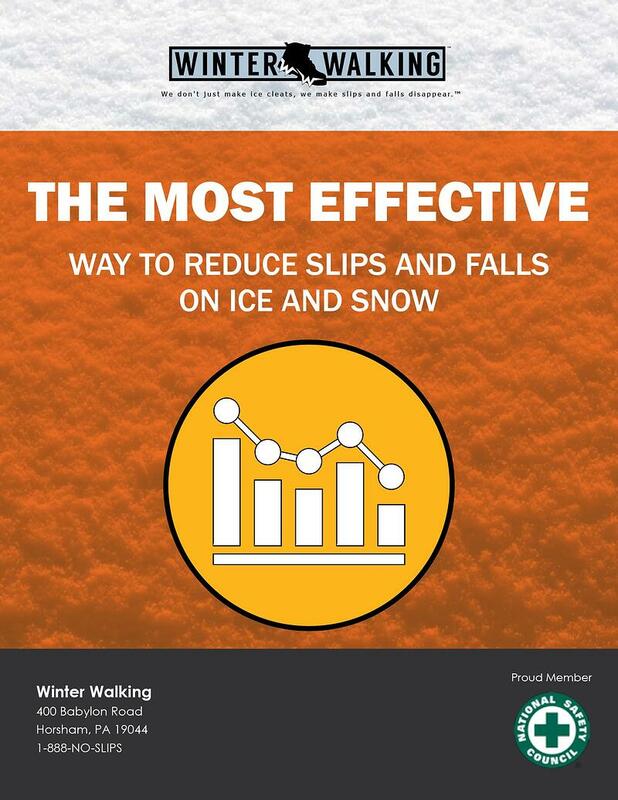 There is one big difference though: Large companies don’t just “set it and forget it” when it comes to safety. They learn and evolve. 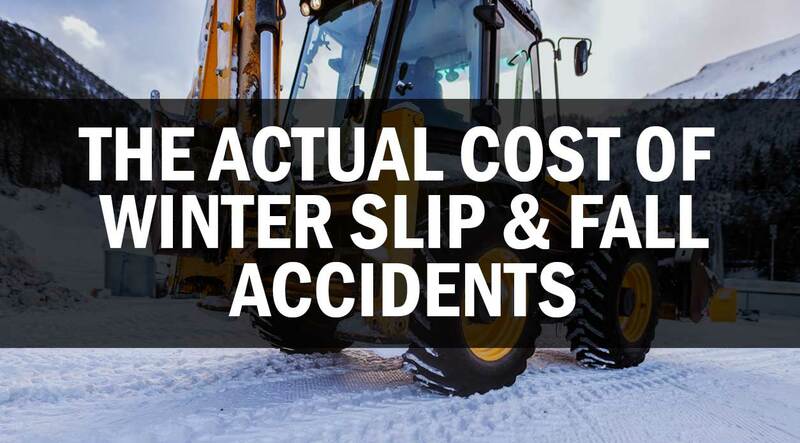 Smaller companies, however, may implement a slips, trips and falls safety policy or program, and then divert their attention once it’s up and running. And that can be a costly mistake. The Winter of 2017 - 2018 in the Northeast US was definitely one for the record books. 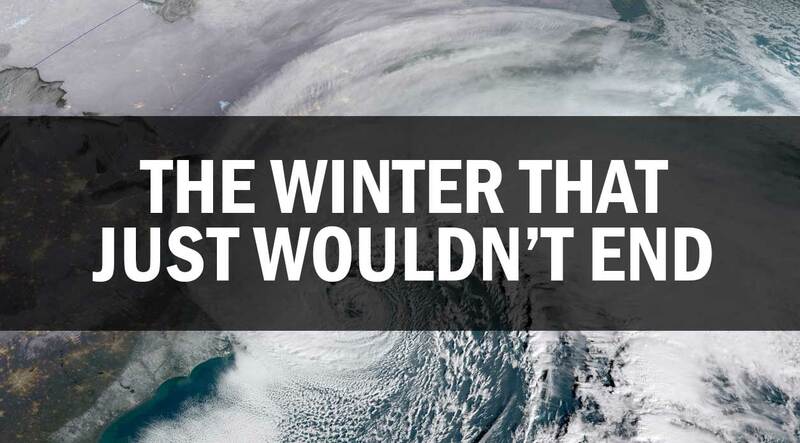 With record breaking cold temperatures, frequent and massive snow falls, ice storms and the resulting school cancellations it seemed like it would never end. Although it still doesn't feel like it, according to the calendar, Spring has finally and officially arrived! 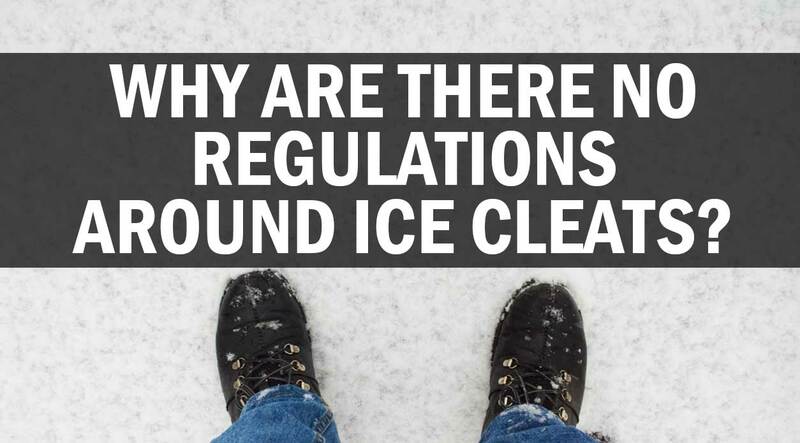 Before you completely put this winter behind you I have a question for you. 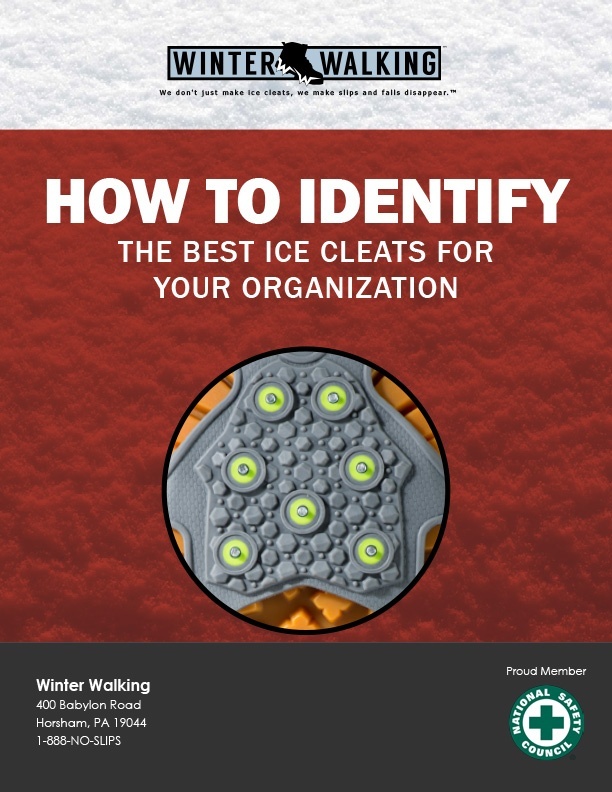 This question has the ability to help you get better employee buy-in when trying to prevent winter slip and falls in ice and snow. 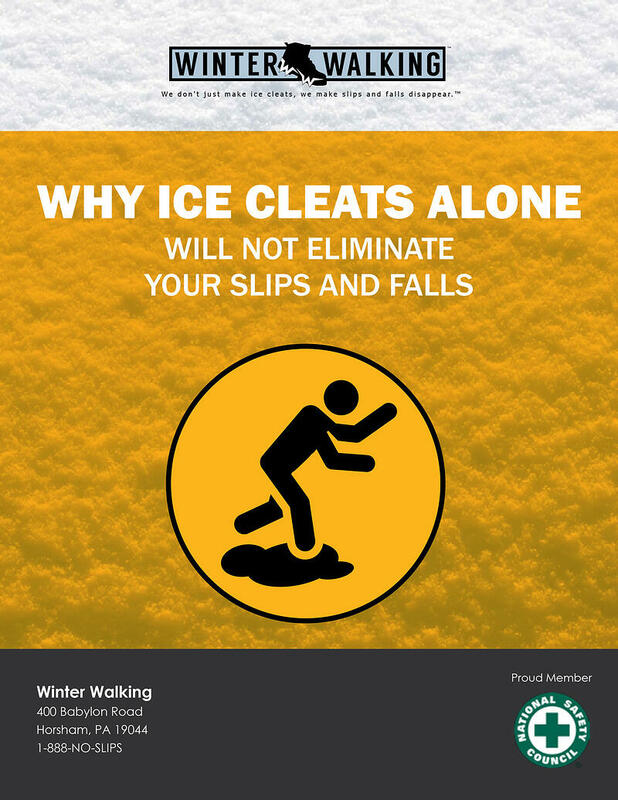 WHY ARE THERE NO REGULATIONS AROUND ICE CLEATS? Good question! 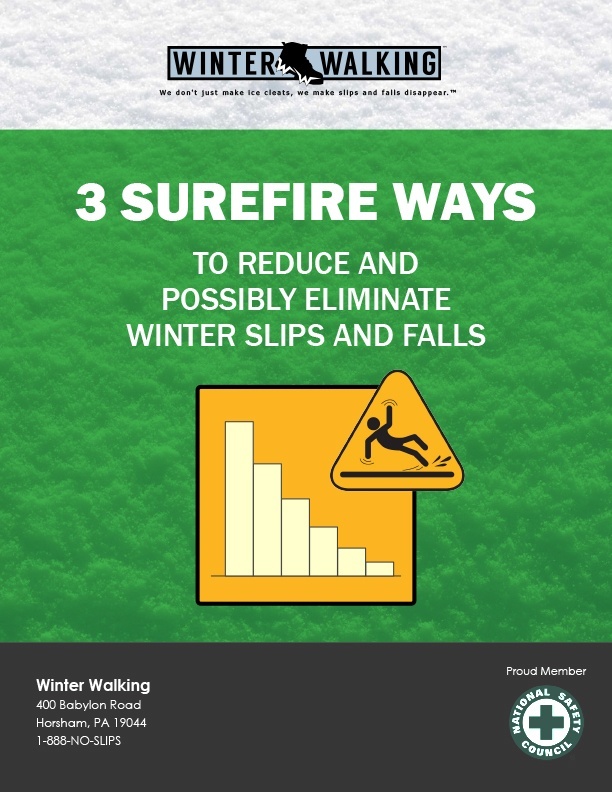 Most PPE that you deal with as a safety professional has some sort of third-party anti-slip regulation that guides you in your decision making. 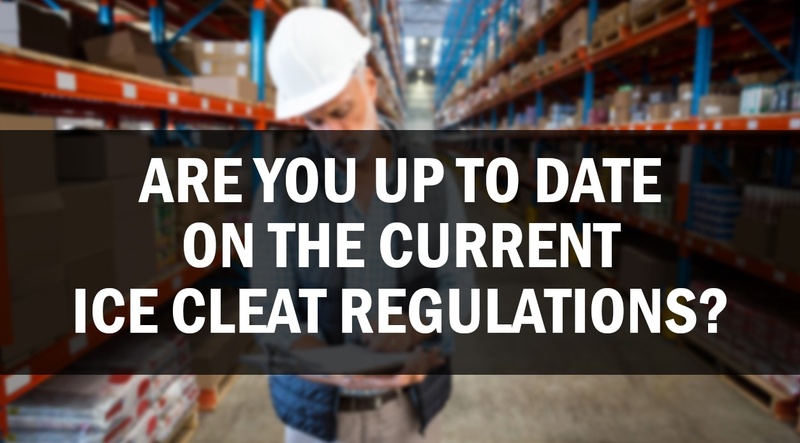 Whether that standard comes from ANSI, OSHA or CSA, etc., there is typically some predetermined barometer for gauging whether the specific PPE you are considering has “passed the test.” This is true for everything from gloves and hard hats to steel toe boots and even indoor slip-resistant footwear. 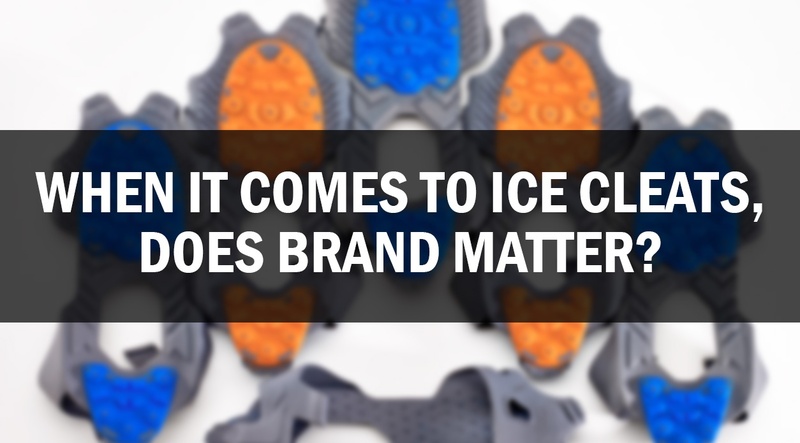 But when it comes to ice cleats and traction aids, there are NO STANDARDS. Why is that? 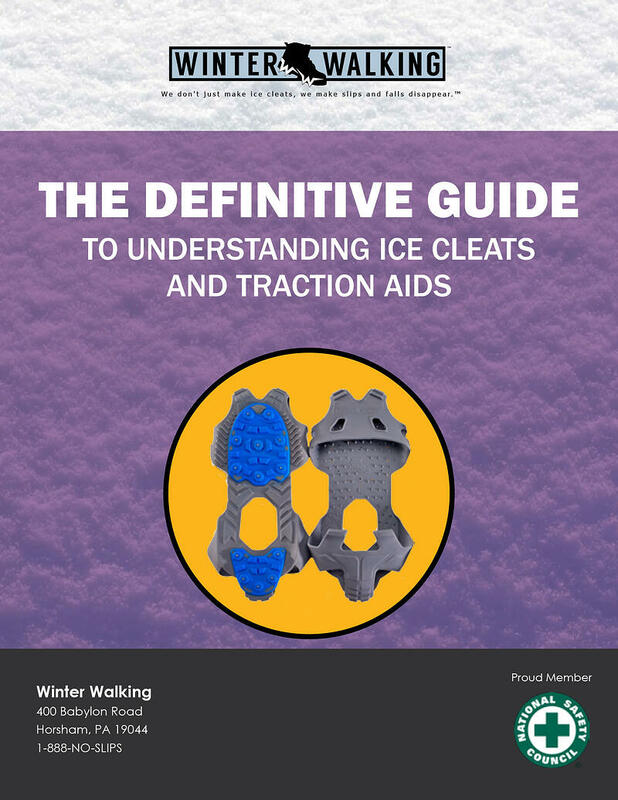 ARE YOU UP TO DATE ON THE CURRENT ICE CLEAT REGULATIONS?